Warriors again with a 115-80 dominant win, leading a comfortable 3-0 against Houston Rockets this past Friday night, if for the past couple games they were struggling to survive this without a doubt was the worst game for the Rockets in a very clear decline, Harden made its best to hold the team together but there’s no expectation for one single player and the fact remains the Rockets are on their way home besides name a team thats has comeback from a 3-0 deficit, there’s none. the gap seems to get bigger game after game and is not going to come as a surprise a 4-0 for the Warriors. James Harden finishing with only 17 points on 3-of-16 shooting and their strong ability from behind the arc was nowhere present missing 20 out of 25 attempts, the Warriors forced the defense’s play and came out on top, Golden State’s help defenders pre-rotated to give punctual help on any Harden drive. All that was surrendered was a difficult, needlepoint passing angle to the likes of Josh Smith or Terrence Jones who are capable players, to be sure, but lack the kind of quick-hitting in-between game that could make the Warriors pay for straying a few steps in Harden’s direction. The duo Harden/Howard need to mark a solid a four win comeback and IF they manage to win the next game it will be against all odds, Golden State defense and offense prepared they will no go easy on the Rockets, apart from having a much better team, incredible offense Curry/Klay/Green and very powerful starters, Houston is a broken team, mentally and physically or better said Warriors broke the team after 3-0 lead with nothing but spot-on wins from Golden State. 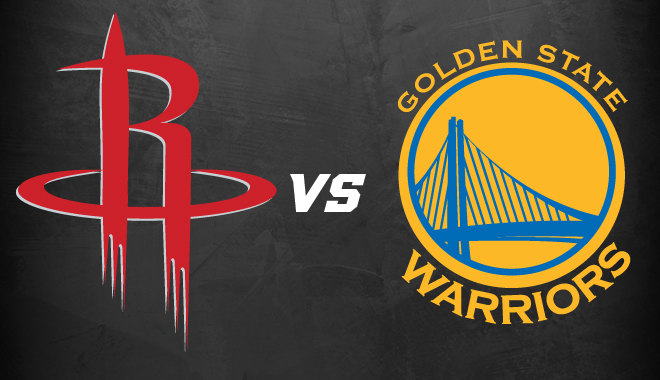 Line and Pick : Warriors -4½, 213 total. Unfortunately this is not gonna be Rockets final stand or so the numbers say loudly, moving up from points means this game is probably not gonna be a contested one, Golden State is as strong as ever and are not going to lose consistency now. taking the under 213 as the past three games so far under has been the pick.